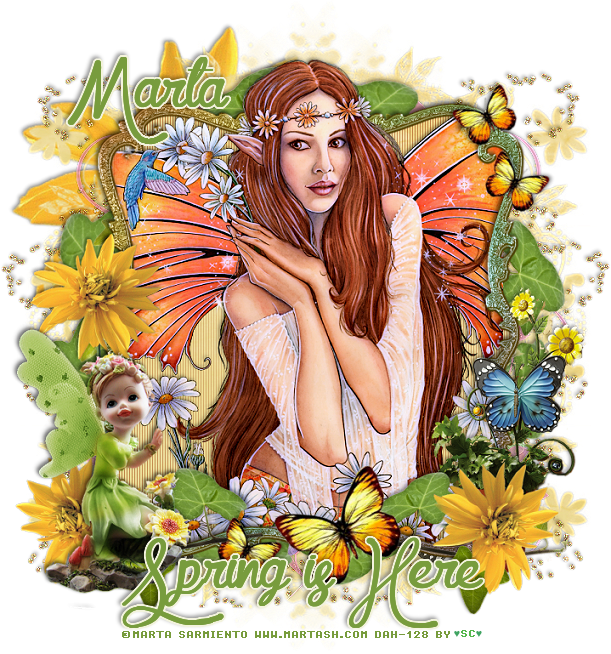 I am using the awesome artwork of Marta Sarmiento. Paste paper 7, resize to 22%, apply your mask, delete and merge group. Resize element 10 to 25%, apply the Mura Meister Filter-Encircle. none, move below the frame layer. you do not want over the frame and then erase the parts on the bottom tube. Apply the Xero Filter-Porcelain to both tubes, then the filter Clarity. Resize element 20 to 20%, paste on the left side. below the statue, duplicate, mirror. a time or two and move around. Resize element 2 to 40%, paste at the upper left just below the mask layer. erase the stem part that is showing, duplicate, mirror.